They have some good and different drinks that are milk based and fruit based. 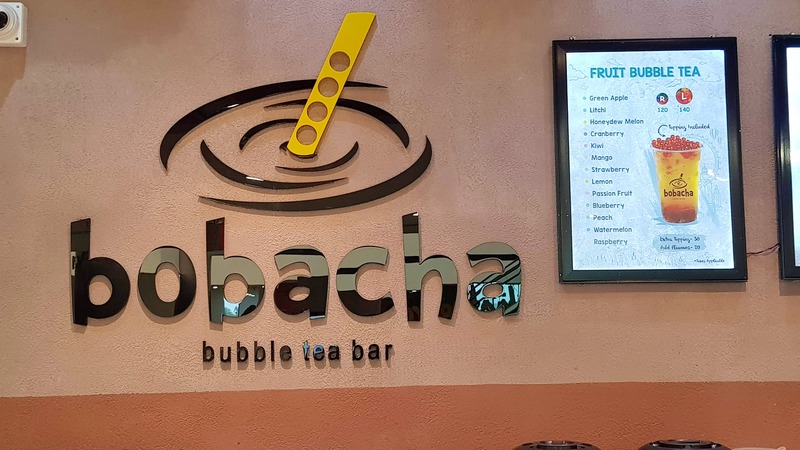 However, the Boba concept is interesting. Where they give you a variety of toppings to choose from. The boba by itself is soft and round. Giving you a different feel and touch to the drink. Would recommend people to check out Bobacha right away! The flavours could be better.